Believe it or not, there was a time when videogames didn't make you wait for the menu to load, when they didn't make you sit through four screens of publishers, engine developers, and physics technologies. There was a time when you simply inserted a quarter and pressed start and began playing. Somewhere along the way we lost that but perhaps, there's a slight chance, we'll be getting back to just playing a game. Like sitting through seven introductions of production companies for the latest feature film, splash screens before games have become more and more annoying. Whether it's a logo of a graphics card manufacturer, an Unreal Engine icon, or the publisher's logo animation - we sometimes sit and wait for a few minutes before we even see a menu. Overtime these things seem to have gotten longer and longer. Perhaps one of the most famous splash screens in gaming had absolutely nothing to do with games themselves. Many arcade and NES games used this screen. It's iconic sure, but not exactly necessary. Luckily it was only a few seconds. 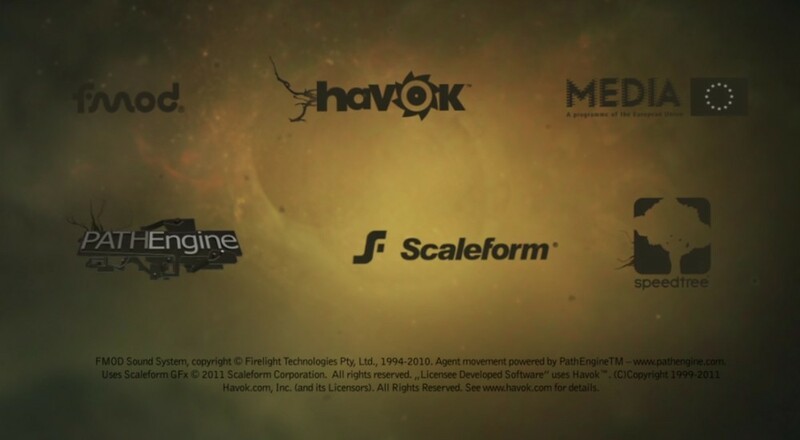 I say all this about splash screens because it appears Killzone: Shadowfall on the PS4 won't have a single one. Whether played from hard disc or Blu-ray, van der Leeuw is particularly proud of how fast and seamlessly the game loads; it's been a pet project for the tech director, who hates how slow modern games have become to operate. Guerrilla has completely eliminated in-game load times after an initial 30 seconds, and removed all logos and splash screens from the game's start-up routine. "To me, that's still something that fills my heart with joy when I see it. You insert the disc and go straight to menu," he says. "People here worked very hard... We had to ask legal and Dolby, the epilepsy warning stuff, the logos from Havok - we had to negotiate with them that we could put it in the credits and not the title screen... All the rules are built around the previous generation. I'm really happy that we're one of the first ones in, and I hope it's an example that people are going to follow. And we hope it sets the example too. I know people might not think this is a big deal, but all of these little things we've come to just accept as part of the package, eliminating this stuff goes a long way. It shows an attention to detail, a passion for the product. We've got to commend Guerilla here for their tenacity. Killzone: Shadow Fall launches on November 15th alongside the PlayStation 4. It'll feature an online four player co-op mode available as DLC. Page created in 0.2322 seconds.